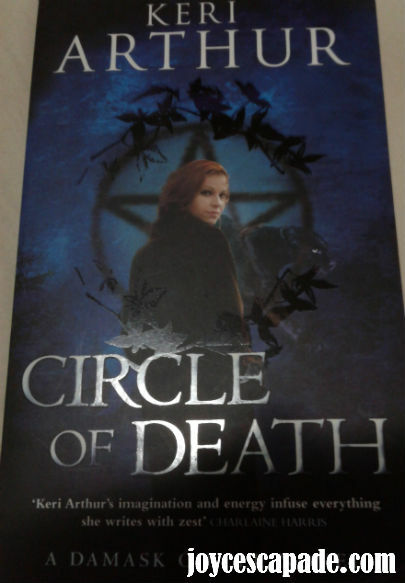 Keri Arthur's "Circle of Death". In one vicious night Kirby Brown's world is torn apart. Her best friend is dead - killed by a madman who is now after Kirby - and she has no idea why. Doyle Fitzgerald has been sent to Melbourne to hunt down the killer but what he doesn't expect to find is a circle of witches capable of controlling the elements, and a sorceress determined to take that power for herself. And he certainly isn't expecting to play bodyguard to a woman who is more than she seems. But while inexplicably drawn to Doyle, Kirby fears trusting him because of the magic that lies in his soul. Because Doyle isn't the only one with power - Kirby's magic is capable of destroying the world.